The rooms are intended for students and young professionals. Check availability. 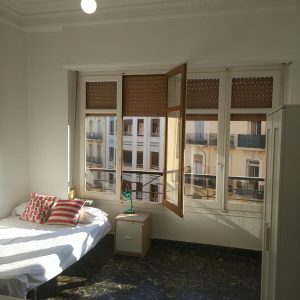 On the website you have all the information about the room and the apartment. If you have any questions, you can contact us through WhatsApp or e-mail. The room can be visited before completing the reservation without any commitment, as long as it is available. You will have to book it through the web, you can follow the steps that are shown during the booking process. Once you have chosen the room, click on the RESERVE button, you will have to fill in a form with your personal information, as well as accept the conditions of reservation of the room. Once accepted, you will have to proceed to the payment of the deposit . Previously, we will talk to specify the arrival time to the apartment. The arrival time is from 10 a.m. to 21 p.m. from Monday to Saturday, if it is outside of that time a supplement of € 25 would be charged, to be paid at the signing of the contract. We will give you the keys and show you the room and the apartment. We will sign the contract. ​ * We offer airport pick up service. What kind of contract do we make? A rental contract for a room is made per season. The length of stay varies from 1 to 12 months, depending on the date and the apartment. 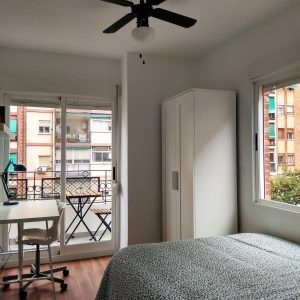 Most rooms are rented in season from September to February / June or February to June / July, however if your circumstances are different, it might be possible to coordinate different date. (Consult by email or whatsapp). What happens if you leave the room before the contract ends? If the apartment is abandoned before the end of the contract, the entire deposit will be forfeited, as agreed in the contract. It is possible to extend the stay, but it is necessary to consult first according to the date and the extension time. 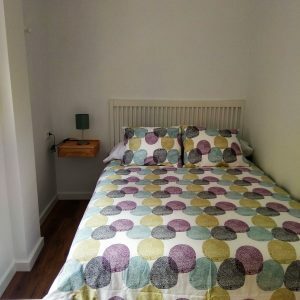 From the moment that the willingness to reserve a room and the deposit is paid online, the contract is understood to have been perfected (From this moment we reserve the room and we stop offering it to the other tenants). We have the contract model that you will sign upon arrival in Valencia, so we recommend you to read it before. Electricity, gas and water expenses are included in the total price, * as long as it is subject to normal consumption. 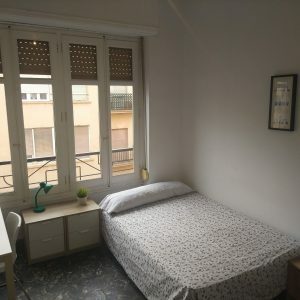 We will provide you with a table of average expenses per month and apartment, and if that amount is exceeded by + € 50, the difference will be charged in equal parts to all students. Tenants will respect the rules of the neighborhood community as one, and will take special care with noise. Parties in the apartment are totally forbidden. The rooms are for single use. * The tenant understands that if he does not comply with the rules of this contract he may be dismissed, expelled from the house without having the right to receive a deposit refund. * In case of dismissal the tenant has 3 days to leave the house from the notice. What is the amount of the monthly rent? The amount of the monthly rent is the same every month, regardless of whether they have 28, 30 or 31 days. When is the monthly rent paid? It must always be paid between the 1st and 5th of each month. In the case of non-payment, the contract will be considered terminated and the deposit will be forfeited. * It is also possible to pay the entire stay in advance upon entering the apartment and a discount will be applied (Consult). Which is the method of payment? By bank transfer, indicating the name of the student or the address of the apartment where he lives and his room. Cash income in Bank, indicating the name of the student or the address of the apartment where he lives and his room. In some occasions, you will be able to pay the monthly payment in cash in the office (consulting before). The account number to make the payments is indicated in the contract. Does the monthly rent include bills? The monthly rent includes expenses for gas, electricity, water and Internet consumption. Supplies are included as long as the expense is normal. Therefore, you must be careful. If an exorbitant bill for any consumption arrives, it will be deducted from the proportional part of the deposit in equal parts to all the tenants. The amount of the deposit is a monthly fee of the room contracted. Through the web with debit / credit card. Without the payment of the deposit, the reservation of the room will not be valid. The deposit has a double function: to reserve the rent in advance , and to guarantee that the apartment will be left in the same state in which it was delivered (deposit). For this reason, the student is not allowed to pay the last monthly payment with the deposit. 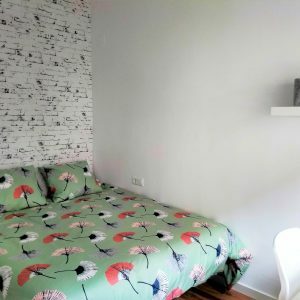 The deposit will be returned to the student at the end of their stay, once the rooms have been checked and are found in the same condition as they were delivered, and will be returned within a maximum period of 15 days after leaving the apartment. What are the conditions to recover the deposit? Return the keys to the accommodation. Leave the room clean, tidy, without garbage of any kind. The bedding on top of the mattress. Be up to date with rent payments. Comply with the stipulations of the contract. What are the ways to recover the deposit? Refund by bank transfer to the account indicated by the student (in this case any bank charges will be covered by the student), once the room has been reviewed. In cash on the day of departure (Only in some circumstances * and if the departure is from Monday to Friday). ​* Tenants not resident in the European Union. Is the bond lost if the apartment is abandoned before the contract ends? If the student decides to leave the apartment before his contract expires, he will lose the amount of the deposit, as stipulated in the contract. Q: Do you provide bedding? A: Yes, our rooms include bedding (sheets, cover, etc.) and towels, but they are not new, although they are clean, they may have some stain or damage, which we always recommend buying a new set for your stay. You can hire it on the web at the time of making the payment. Q: Do you have clean service? R: In most apartments we provide a free cleaning service that comes once a week to clean the common areas, but is only support. Remember that the responsibility to clean the apartment belongs to the tenants. In the case of not including the service, the cleaning will be the responsibility of the tenants themselves. Q: What about the visits? A: You can invite your friends or your family, and they can stay on the apartment. The only considerations are that your guests must sleep inside your room, you must inform your roommates and it must be for a short period of time (maximum 6 nights). A: All, but whenever it is a normal consumption, it is necessary to take special care with the use of heating if you are not at home and with the lights, as well as with the use of washing machine / dishwasher. 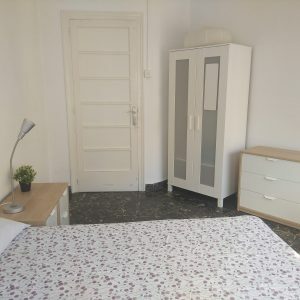 A table of average consumption of the apartments will be provided, and if it exceeds 50 € of the average, the difference will be charged separately. Q: Is there a parking lot nearby? A: We do not provide a parking space, but if you are interested, contact us! We will try to help you with our recommendations on where to park your car. 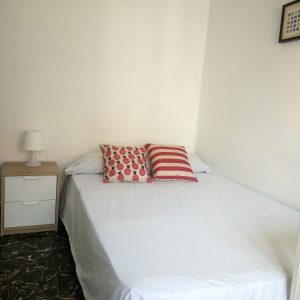 A: You can send us an email at any time to info@rooms4valencia.es and we will respond in the following hours, or contact the whatsapp group from 10 to 20 from Monday to Friday. If it were an emergency (Water leakage, no light, fire …) we will provide you with an emergency telephone number. A: Yes, all our rooms have their own lock. Q: Do you have a maintenance service? A: In case something does not work as it should, we have our Maintenance Department, whom you can contact. They will send a person to help you as soon as possible. You will have to send an email to averías@rooms4valencia.es with the information of the affected apartment, photos or videos of the problem with the greatest possible explanation. Q: Can I furnish my room? 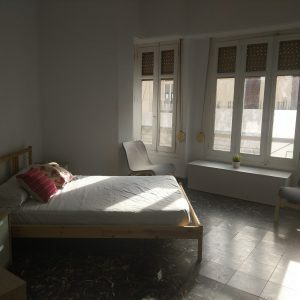 A: All rooms are already furnished, and have a double or single bed, a wardrobe, a desk and a chair. Yes you can decorate your room so you have everything you need, but be careful not to damage any element (furniture, paint, etc.). If you want to buy some additional furniture, please contact us beforehand. A: Normally, it will be paid by bank transfer or cash deposit in the bank directly.